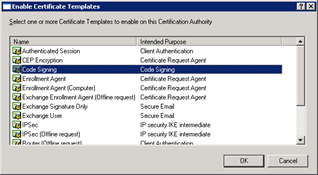 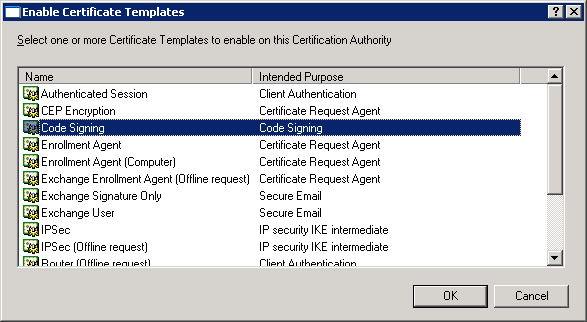 On the next page click advanced certificate request followed by Create and submit a request to this CA. 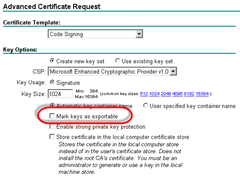 Now open the Certificates MMC Snap-In and go to Personal | Certificates and export the new certificate. 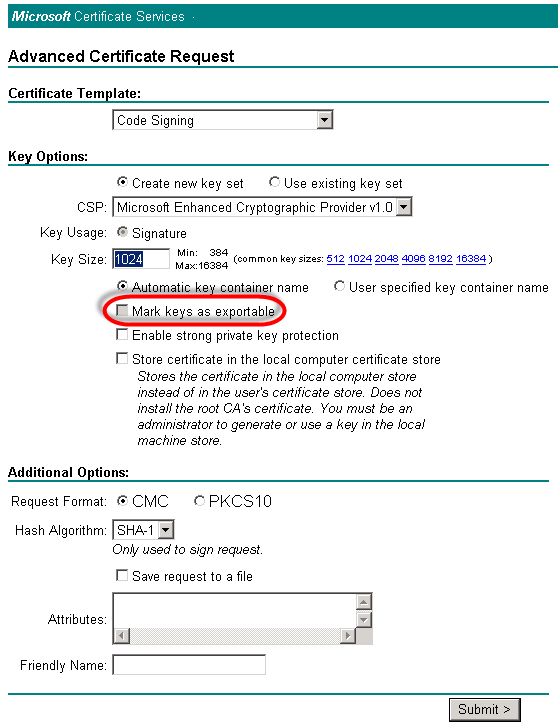 So where does this leave us, is it a security breach? 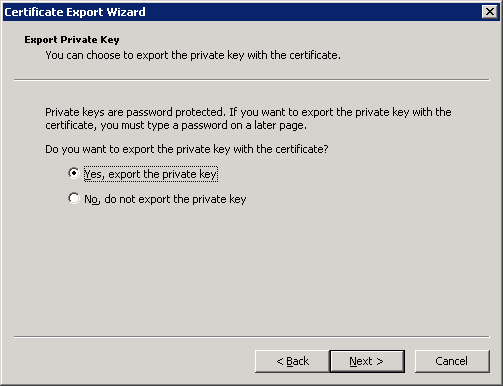 I don’t think so because without this trick we already get a certificate with private key, the only difference is that we are not able to export it. 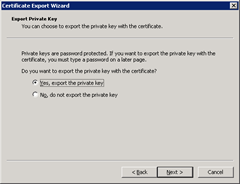 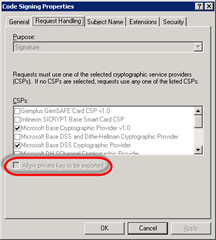 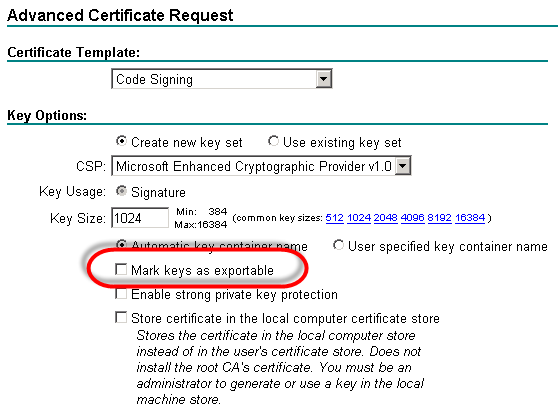 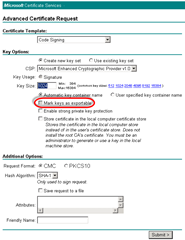 So as far as I am concerned this is just a trick that can be used to quickly get a certificate with private key in the pfx format so we can easily feed it to signtool.